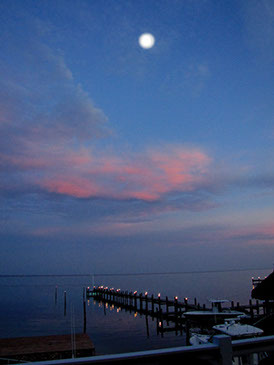 Islamorada is one of the many islands that make up the Florida Keys, or “Keys” as most locals like to call this remarkable place. 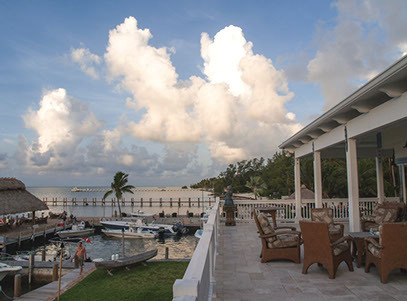 The Keys has something to offer to all those that enjoy beautiful sunrises and sunsets, frozen drinks, year-round sunshine, boating and fishing. You need not have a boat, as there are many places where you can rent one and you certainly do not have to possess expert fishing skills, as there are many guides available. However, you do need the right attitude for a worthwhile experience and to be able to take it all in. You see, the Keys are about taking it nice and easy. From the moment you begin your journey along the famous US 1 highway (the only way in and out) you will notice that laid back atmosphere. It won’t be long before you will have forgotten the place you left and become one with the sunshine and ocean breezes. 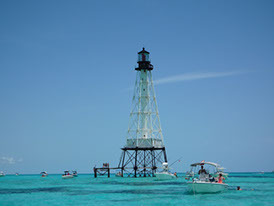 My family and I enjoy going on vacation close to the ocean, and we have traveled up and down the Keys many times. 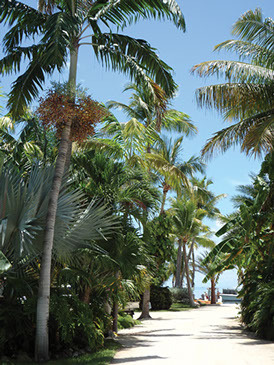 Last winter, while searching for places to call home, we found the Caribbean Resort in Islamorada. Unlike any other resort or hotel we have stayed at, this resort was perfect for a family. After several years and countless hotels, houses and condominium stays, we finally found a place where the family had space to relax in the comforts of home. We could venture out for the day but when we wanted to settle in, we had a place we felt the feeling one gets when coming home. This resort was built by Phillip Sena. I met him and his brother Lou during our last trip there. They have a passion for the ocean, and do all they can for you to fall in love with it as well. Phillip bought the property over 30 years ago. The story goes that he fell in love with the Keys at a very young age and became a seashell diver. His father wanted him to go to law school, but Phillip had other plans. When he was 17, he used the money from his seashell business and acquired the property where the Caribbean Resort is located today. With Phil’s ability to develop the resort, and Lou’s expertise in marketing, bookings are up significantly. The beautiful grounds full of palm trees and vegetation create a micro-climate and have a full-time crew to maintain them. The homes, all named after palm trees, range in sizes but have these items in common: beautiful and inviting décor, spacious, designer kitchens and family-oriented space. There’s an onsite boat ramp and dock, plenty of places to enjoy the ocean views, and an exceptional pier to take a stroll on or even fish. We will be going back to Islamorada. When we do, we will enjoy it and appreciate the beauty that these islands provide. And we will stay at the Caribbean Resort, a place that felt like home!